Warren Buffett is the third richest person in the world, according to the 2016 Forbes list. And he has been an outspoken campaigner of returning his wealth. In 2010, he formally announced 'The Giving Pledge' with Bill Gates aimed at inspiring the wealthy people of the world to give the majority of their net worth to philanthropy, either during their lifetime or upon death. Buffett defended his support of lower-income populations within a capitalist framework in a 2015 op-ed in the Wall Street Journal. “The economic rewards flowing to people with specialized talents have grown dramatically faster than those going to equally decent men and women possessing more commonplace skills,” he wrote. As Buffett pointed out, in 1982, the first year the Forbes 400 was compiled, those listed had combined net worth of $93 billion. At the time of the op-ed, the 400 had a combined net worth of $2.3 trillion, up 2,400% in 30 years, while the median household income rose only about 180% during that time. Meanwhile, the percentage of Americans living below poverty level remained at 15% over that period. “In recent decades, our country’s rising tide has not lifted the boats of the poor,” he wrote. While celebrating the rich like Henry Ford, Steve Jobs, and Sam Walton, Buffett said education isn’t enough of a solution. “To see why that is true, imagine we lived in a sports-based economy. In such a marketplace, I would be a flop. You could supply me with the world’s best instruction, and I could endlessly strive to improve my skills. But, alas, on the gridiron or basketball court I would never command even a minimum wage. The brutal truth is that an advanced economic system, whether it be geared to physical or mental skills, will leave a great many people behind,” he said. 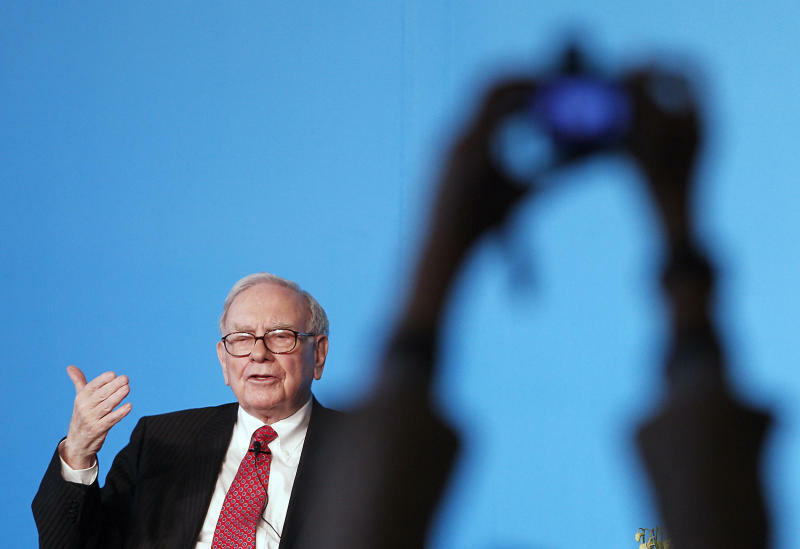 The Buffett Rule is part of a tax plan proposed by President Barack Obama in 2011. The tax plan would apply a minimum tax rate of 30% on individuals making more than a million dollars a year. The Buffett Rule is named after Warren Buffett, who said in 2011 he believed it was wrong that rich people like himself could pay less in federal taxes as a portion of income than the middle class and voiced support for increased income taxes on the wealthy. “The 400 of us pay a lower part of our income in taxes than our receptionists do, or our cleaning ladies, for that matter. If you’re in the luckiest 1% of humanity, you owe it to the rest of humanity to think about the other 99%," he said this while speaking at a political fundraiser for Hillary Rodham Clinton in 2007. The Buffett Rule was not in the President’s 2012 budget proposal and the White House initially stressed it as a guideline rather than a legislative initiative. The rule, however, was later submitted for deliberation in the Senate. In April 2012 the bill received 51 affirmative votes but was stopped. On April 30th, Yahoo Finance will have an exclusive live stream of the Berkshire Hathaway annual meeting. Click here for more information.